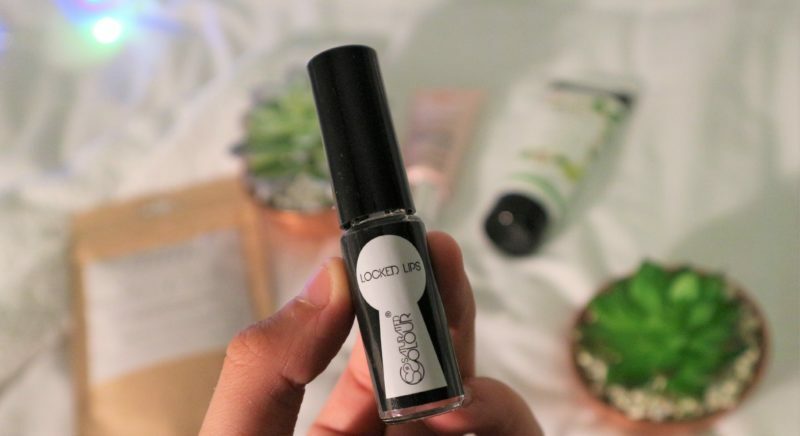 Trying new cruelty-free products is something I love to do! 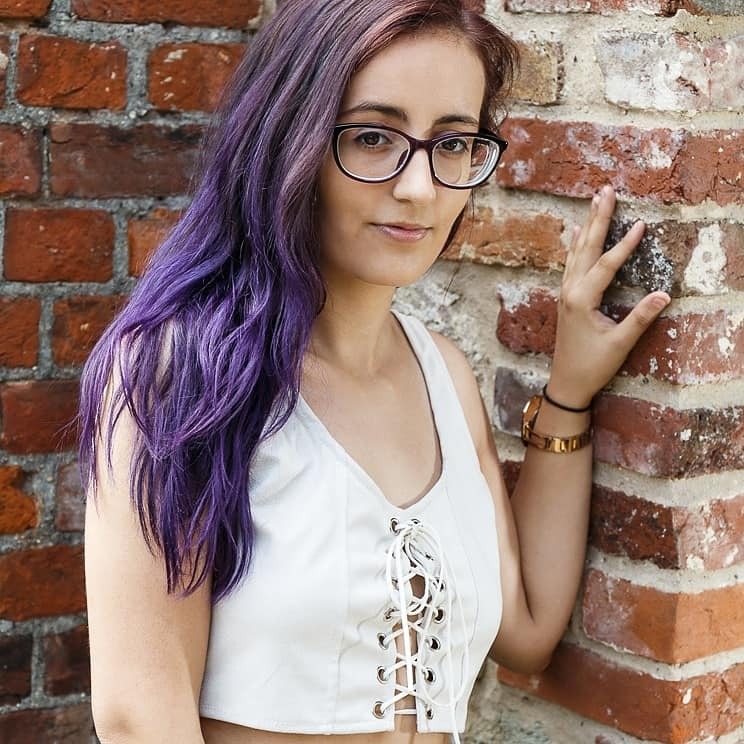 As you guys know, cruelty-free and vegan are my main values and basis of this blog. So when The Pip Box reached out to me asking if I would review their November box, I just couldn’t say no! This was a company I had seen on my Twitter feed for quite some time but didn’t really look into for some odd and silly reason! What was I doing? Haha. What is The Pip Box? The pip box is a beauty subscription box – meaning you get a box every month delivered straight to your door, so you don’t have to go searching for your beauty items. This subscription box, is still a relatively new company as it only started in February 2017. They are also different from any other beauty box in that they only provide you with 100% cruelty-free products. How cool! I was so thrilled to receive my November box as I rarely buy beauty products. This box is perfect for you girlies who are trying to make the switch to a more cruelty free routine with your skincare and makeup, because the box does offer both elements. Everything included in the box is natural and organic – from a range of skincare and award-winning makeup. 50p from every box we sell is donated to animal friendly charities. This serum is 100% cruelty free and vegan friendly. It is designed to detox, purify and minimise the pores overnight with an added bonus of revitalising your complexion whilst giving you a soft glow for the next day. 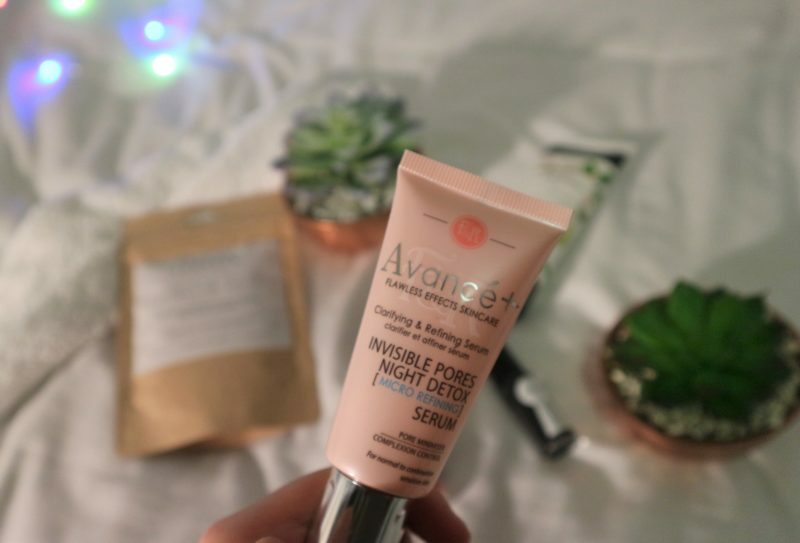 The product is made within the UK and has been formulated using only clinically proven ingredients such as Mahonia Aquifolium that helps to reduce skin impurities and optimise skin tone. Which is perfect for me as I have been suffering with uneven skin tone recently. 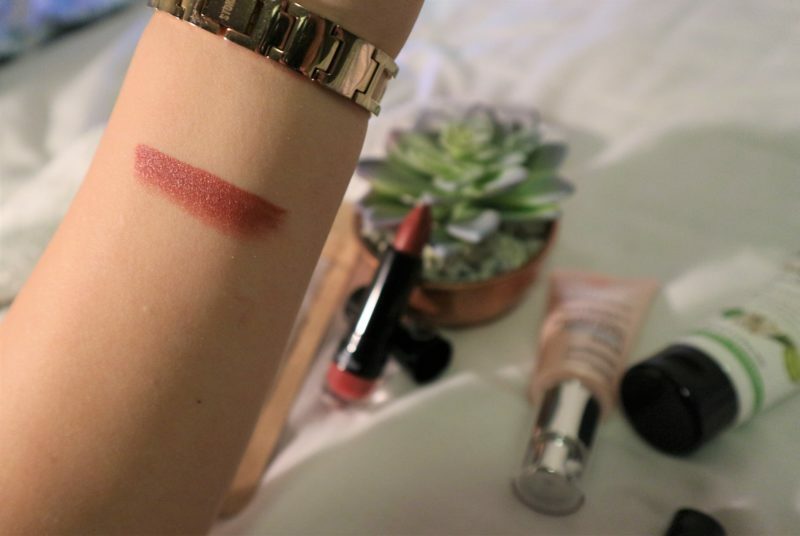 This lipstick is also 100% cruelty free and vegan friendly. The lipstick is highly pigmented and is a 90s brown colour with some slight pink undertones to give the colour a bit of pop. Using Saturated Colour lipstick will not only give your lips some bright matte colours but it will also moisturise your lips all day as it has a long-lasting finish to the formula. The 1st base colour is such a simple, not pretty shade it is perfect for day or night! Suitable for most skin tones – any one can get away with wearing it. For me the colour is stunning, it really matches my skin and if I was to wear lipstick I normally go for a more neutral shade – and 1st base sits in this bracket. As I mentioned the lipstick above, I thought it would be a great time to mention the locked lips. This product is something you apply over your lipstick or lip-gloss to ‘lock’ in your colour and to prolong the wear of your lipstick – therefore helping you stop re-applying lipstick constantly throughout the day, making your product last even longer. Locked Lips also helps stop feathering or bleeding into creases around your lip area. Honestly this is a miracle product, I cannot wait to test this product out myself, to see how long my lipstick can last throughout the day. This product is certified as vegan friendly, it is made in England using 100% natural and pure essential oils. 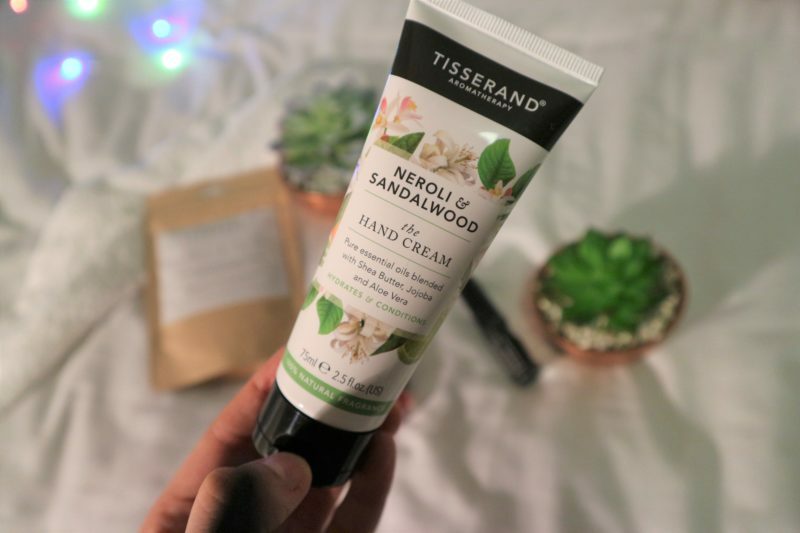 The hand cream has been expertly blended using floral Neroli, rich Sandalwood, sensual Ylang Ylang and uplifting Bergamot formulated with Aloe Vera and Calendula Flower with Jojoba oil to create this exotic and nurturing cream to help protect the delicate skin and strengthen the nails. It leaves your hands silky soft and non-greasy. A perfect addition to the winter skin care routine. 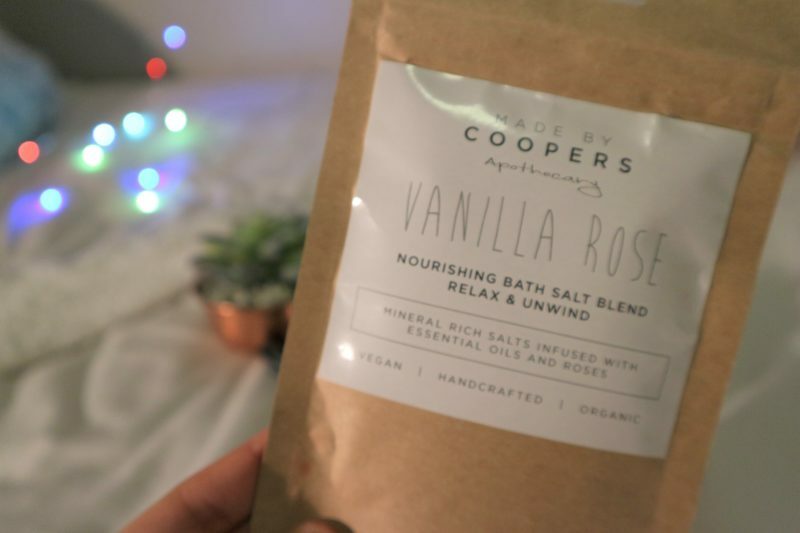 This little beauty is a nourishing bath salt mix for relaxation and unwinding. The salts are Dead Sea Salt (contains 21 minerals that soften and soothe skin), Himalayan Salt (contains 84 minerals that soothe and repair damaged skin to promote cell renewal), and Epsom Salt (to relieve tired muscles) blended with Coconut oil which nourishes and moisturises the skin and Vanilla Ylang Ylang a calming blend of essential oils to help relax your mind and body. The product is 100% organic, handcrafted and completely vegan friendly. What more could you ask for?! 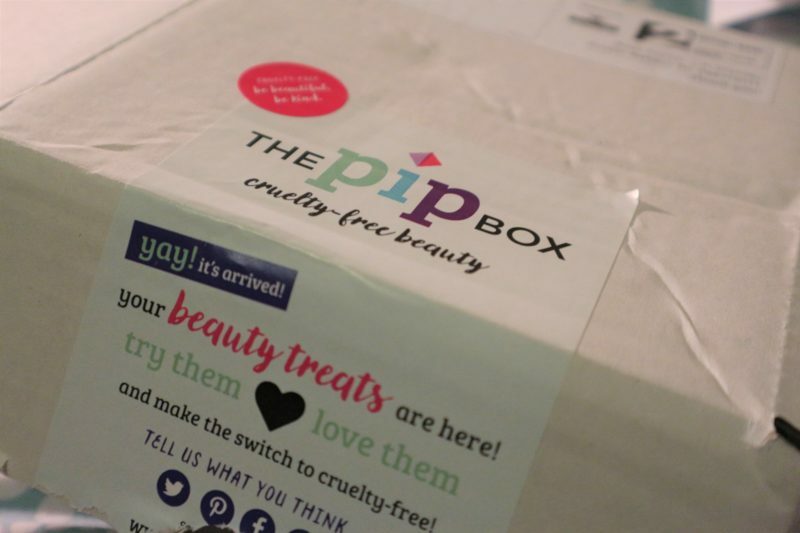 I want to say a massive thank you to the lovely team at The Pip Box who kindly sent me this November edition of the cruelty free beauty box – I cannot wait to use all my lovely goodies and if you want to get your December box in time for Christmas check out their website and order yours today. This looks great! Great to see a vegan option to a beauty box and the products look really nice too!! Yes, it is perfect having a vegan option isn’t it? It takes away the research aspect of shopping.